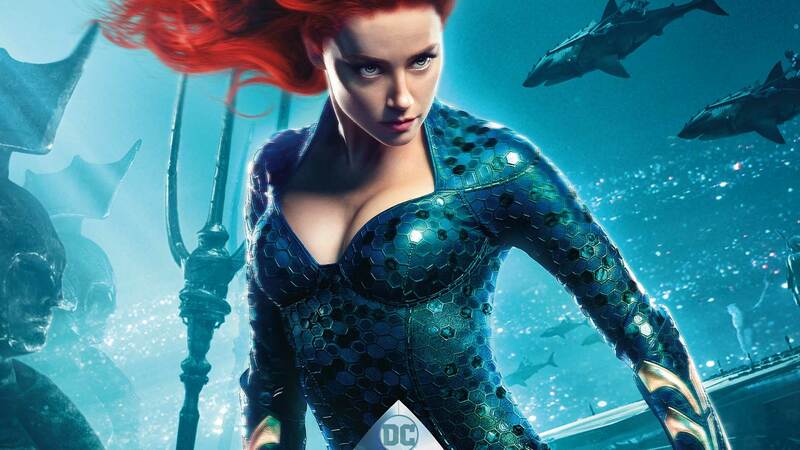 Amber Heard as Mera in the live action Aquaman movie. Though not a native of Atlantis, Mera is queen of the fabled underwater realm alongside her soulmate Aquaman. With her hydrokinetic powers, she defends both land and sea. Fighting alongside Aquaman, the flame-haired warrior Mera has become a trusted protector of Atlantis and a respected DC Super Hero in her own right. Though she’s often felt Earth’s surface people haven’t earned the love and care Arthur Curry has for them, she defends them as he would, sharing his hope that air-breathing humans and water-breathing Atlanteans can forge a lasting peace. To that end, she, like the man she loves, has worked alongside the Justice League, earning the respect and friendship of Earth’s champions. For more on Mera's history, visit her page on DCUniverse.com.